How are you today? The Wednesday challenge at SSS says: "use a little texture". 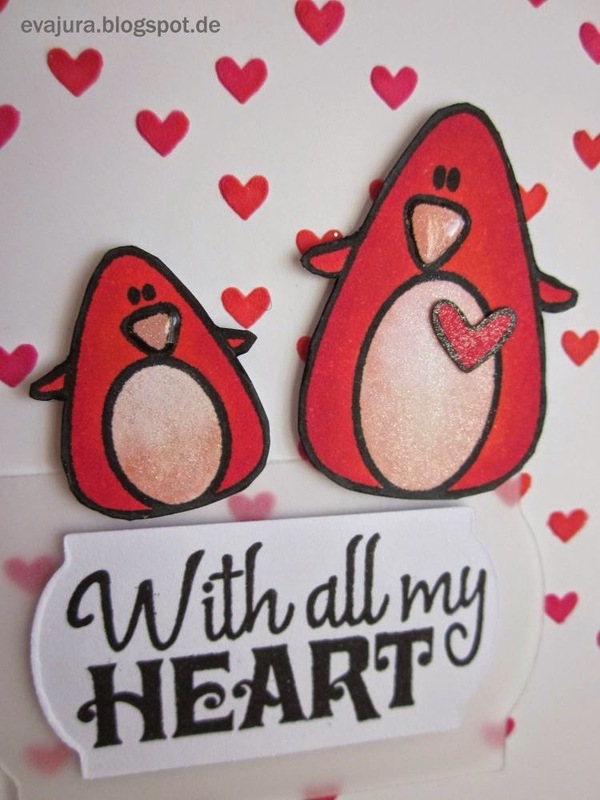 So I decided to make a penguin love card with textured hearts. 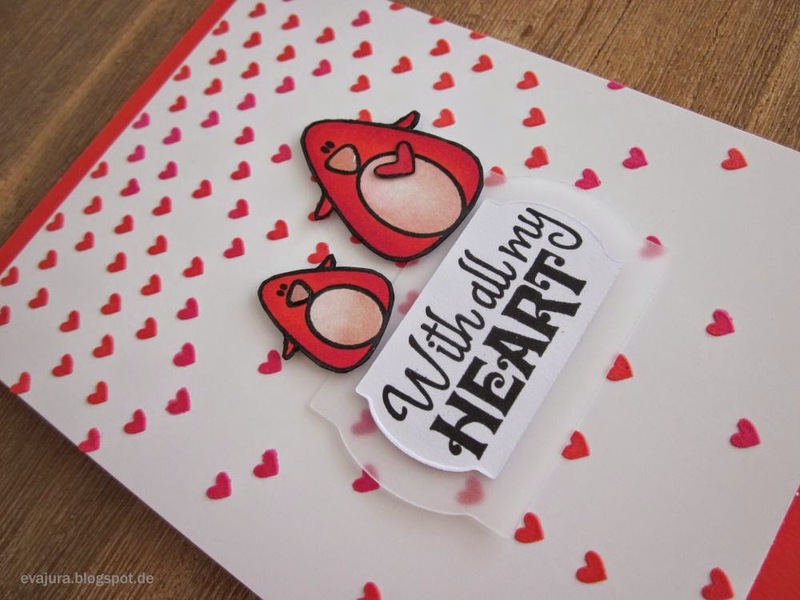 To create the wonderful background, I used the Falling Snow Stencil from Simon Says Stamp. I colored my texture paste with some Distress Inks and applied it on a white card and let it dry. I stamped the cute penguins from the Cool Buddies Stamp Set from Create a Smile with the Memento Black ink and colored them with Copic Markers. I don't have a grey markers yet, so I colored them red and pink. I have to admire, I love the outcome. Who said that penguins have to be just black or grey? I applied also some glitter with the Wink of Stella Brush. I'm in love with the beautiful shimmer. Since I got to know to the Wink of Stella Brush, I have to use it on almost each of my card. It makes a big difference. I used also some Glossy Accents for the penguin's beaks and it gives to my card the right touch. Thank you for stopping by. Let me a comment, I love to read them. 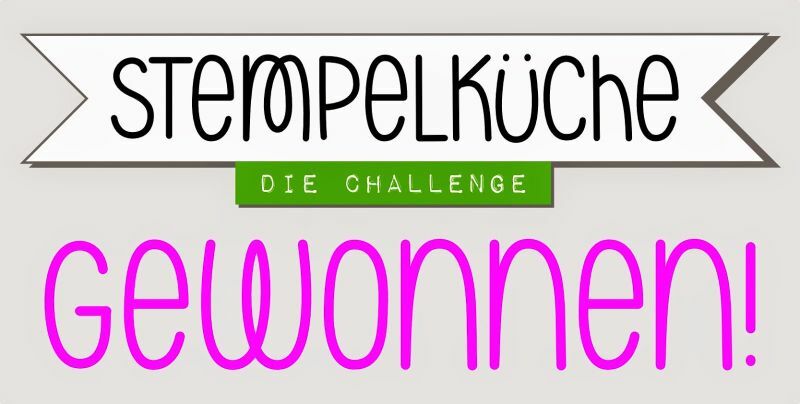 wow, I found you on create a smile... ist sooo funny to see the penguins in read!!! what a great Idea!!!! Thank you Birka. 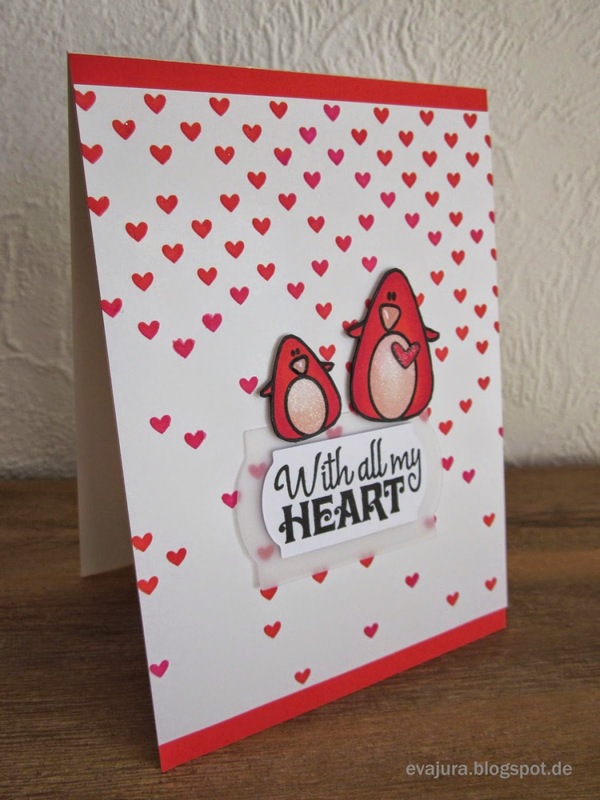 I have one more card by using a different color in combination with MFT stamps - looks great. I'm going to post it this week. Hugs! 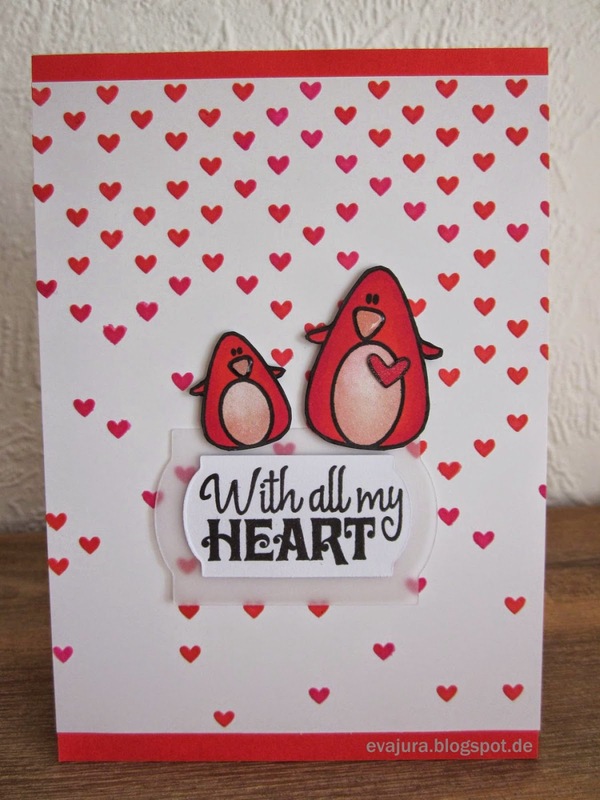 Oh this is such a sweet card, love the falling hearts and the cute pink penquins.